But high school graduation party themes can keep the planning on track. Seniors may be a lot more sophisticated than they used to be... with designer jeans and electronic devices... but a graduation party is still a simple idea that aims to celebrate a major accomplishment. Unlike other parties though, it has to be memorable, nostalgic and yet fun. This is a big menu to fill, but school graduation party themes can help. Having a party is the perfect way to officially end the childhood years. Planning a great graduation party starts with a great theme. Part of the fun of deciding on a school graduation party theme is the process of considering the different ideas. There are so many options to choose among, and the best one will be the theme that students see as the most reflective of their graduating class. Every school class has a different persona. Some are very serious while others may be studious yet light hearted. But, they all seem to like theme parties so let's try to figure out a great party idea or two. The graduation party theme should be a reflection of the students and their class personality. If it's all about planning themes, decorating, menus, announcements etc., then you'll certainly want to have students and staff plan together. Graduation offers an opportunity not just for students to celebrate. 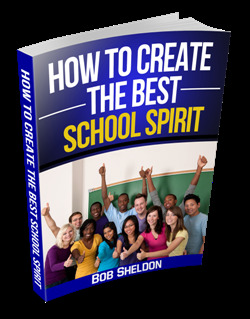 It is also a time for everyone who has encouraged and helped the student throughout the school years. Everyone can come together and enjoy the moment of victory with the student. Those involved in graduation planning are acutely aware that a high school graduation is a time of transition. Most high school grad party themes are designed to point out this major achievement while creating a festive atmosphere. In addition, high school graduations are held at a variety of different schools. There are technical schools, high schools for special needs students and alternative schools. They all want to celebrate student graduations. High school graduation themes must reflect the individuality of the school and its students. Picking the right theme is important. Planning a party takes work. There are many details that must be considered, and the best parties are those that are coordinated. Choosing the right high school grad themes for the situation can make the planning must simpler. There are decorations to consider, advertisement of the party emphasizing the theme, music and souvenirs. Your theme should be something that can be personalized if it is to be effective. Graduation is such a wonderful time and school graduation party themes are a great way to make sure the party sends the right message. Choosing the right party theme can be much easier if you use available resources such as professionals who know what works best through experience. High school graduation party themes are a great way to celebrate a great success. Leave High School Graduation Party Themes and Get Your School Theme!